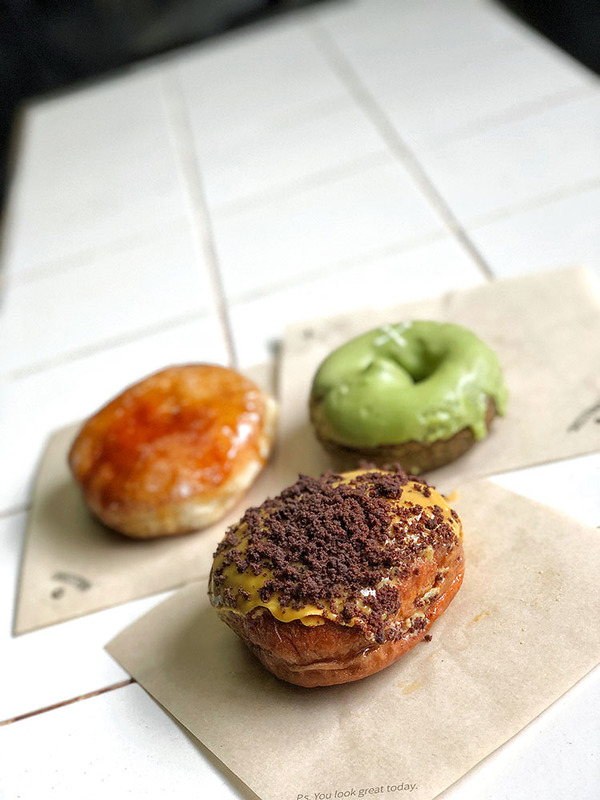 If you Google ‘the best doughnuts in London’ you will find out that London has quite a thriving doughnut scene. 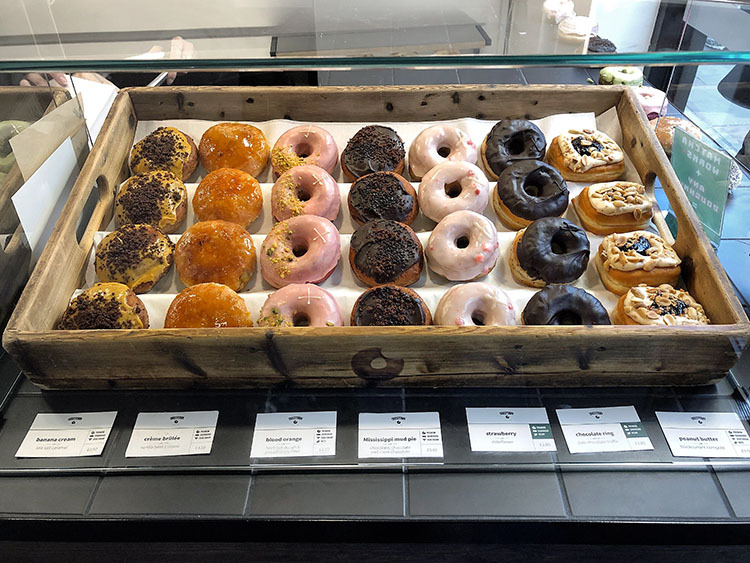 The Crosstown Doughnuts website is popping up in the top of the search results, and it is listed in most of the ‘Top Doughnuts in London’ lists. There is a good reason for that. It is without any doubt one of the best doughnut shops in London. I’ve eaten there a few times before, and if I come back somewhere, that’s usually a great sign. 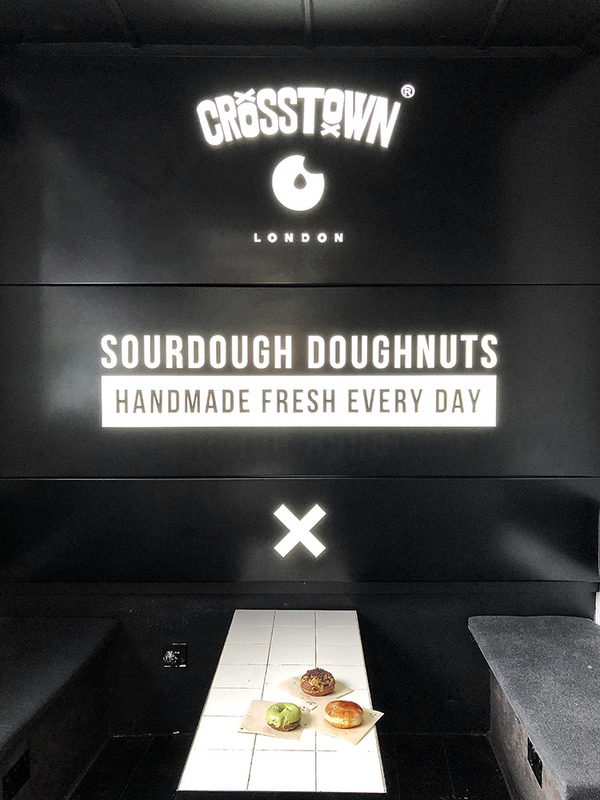 Crosstown doughnuts started as a small stall at Leather Lane market in 2014. Since then they’ve opened a few more shops around the London. You can find them in all the touristic hotspots like Camden Town, Soho, Brick Lane, Victoria and a few markets. They still sell at the Leather Lane market on Fridays. 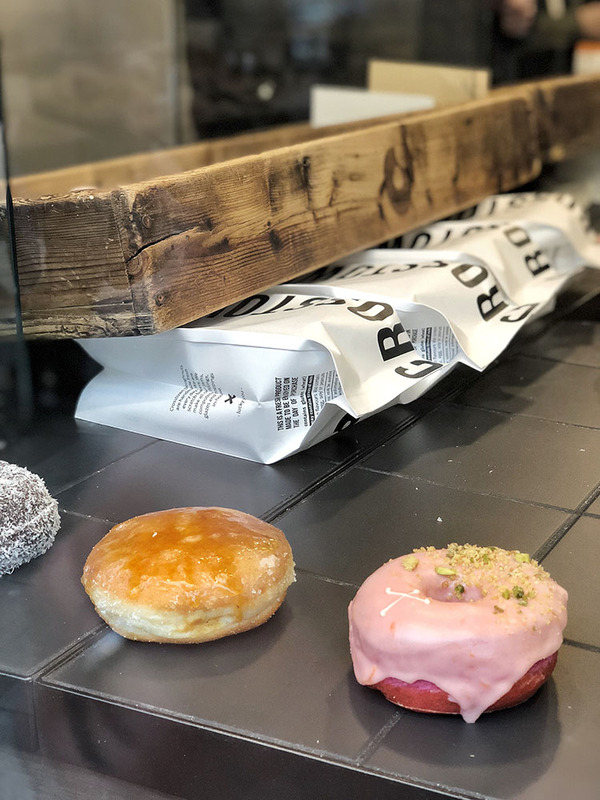 What to try at Crosstown Doughnuts? At Crosstown Doughnuts trying almost anything is a good choice. They pride themselves on utilizing the best quality ingredients while making all toppings and fillings in-house. There are many delicious flavors to choose from. Some of them only seasonal, but as always I went for the longtime best sellers. Sea Salt Caramel Banana (£3.5, $4.8, €3.95, KRW 5200) - This is the doughnut I come back to Crosstown Doughnuts for! The fresh banana custard, wrapped with the Crosstown’s chocolate sourdough and topped with sea salt caramel and chocolate soil. My mouth is watering just thinking about this delicious doughnut. You can never go wrong with banana, chocolate and caramel combination. Never. Crème Brûlée (£3.5, $4.8, €3.95, KRW 5200) - This doughnut has a straightforward taste. It’s filled with vanilla custard which a rich flavor. It has a crusty top from caramelized caster sugar. It gives a nice crunchy feel to the doughnut, but I couldn’t taste any flavor or sweetness. Crème Brûlée doughnut has a very safe, classic taste. 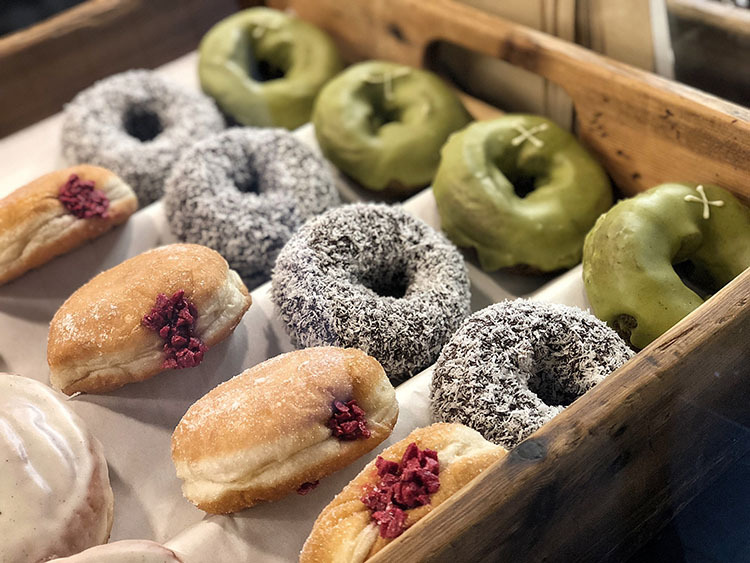 Matcha Tea (£3.8, $5.3, €4.3, KRW 5700) - Matcha Tea is one of the premium seasonal doughnuts. I am not a huge fan of matcha flavor but my wife loved this doughnut, and I can see why. It has a dominant matcha taste because it’s made of matcha cake dough and topped with matcha & white chocolate ganache. The topping was a little bit too sweet for me. I spent £12.80 ($17.70, €14.45, KRW 19000). 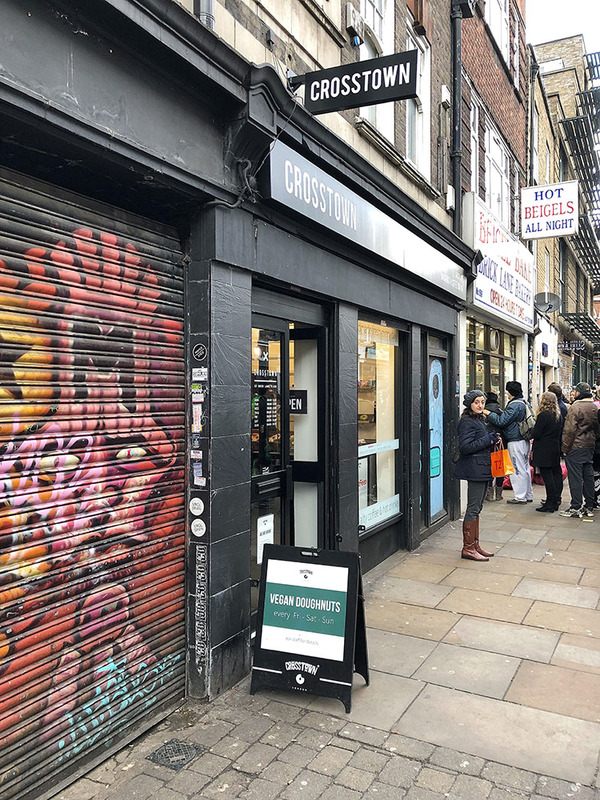 Crosstown doughnuts are not the cheapest doughnuts in London. However, you will get excellent quality and solid size of the doughnut for this price. 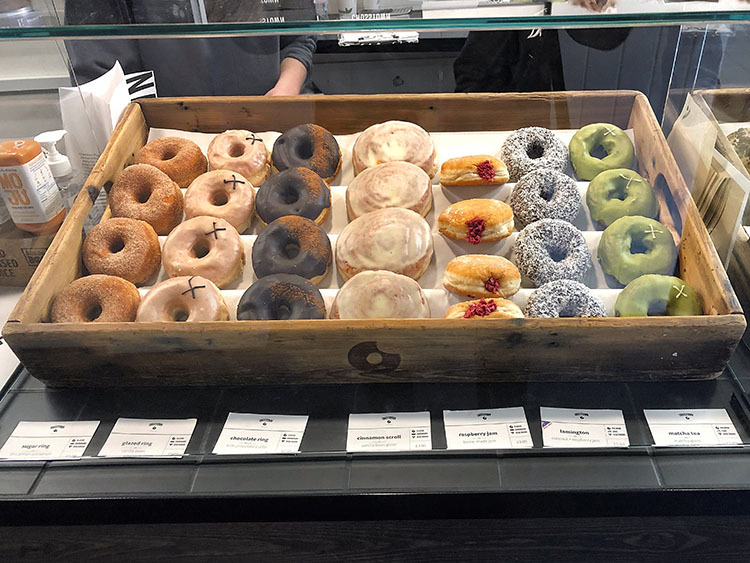 We had three doughnuts and a coffee which was decent, but if it wouldn’t be freezing cold outside, I would instead take the doughnuts with me and get a coffee in one of the great coffee shops around the Shoreditch. 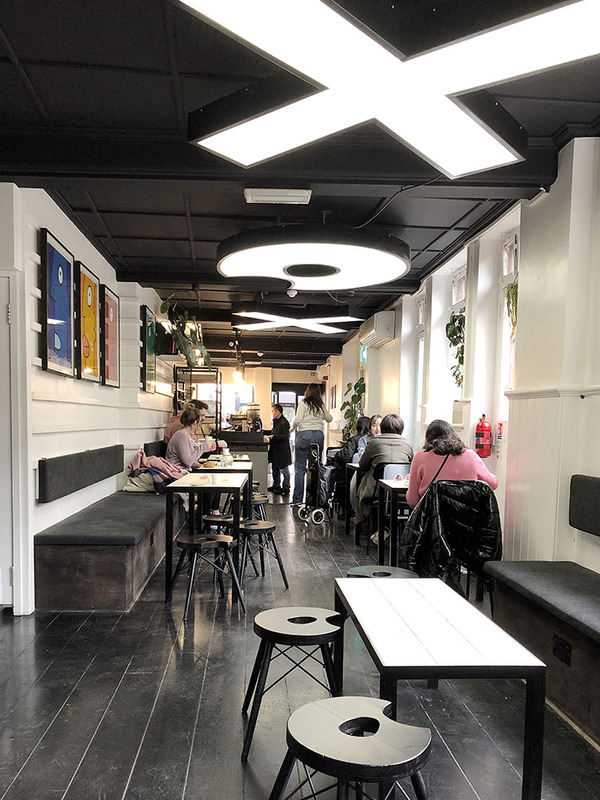 The good news is that there are many places you can find Crosstown Doughnuts these days. They have a shop in almost all touristic hot spots, so you are never too far from some delicious doughnuts. The doughnuts are delicious, and the environment is pleasant. The staff at the Brick Lane shop could be a little bit friendlier. Stores and restaurants in London tend to play music very loudly, for some reason, and as you can see in the video, the music was quite loud in here too. I would give this shop 3.5/5 stars, but the doughnuts itself are easily 4.5/5 stars.